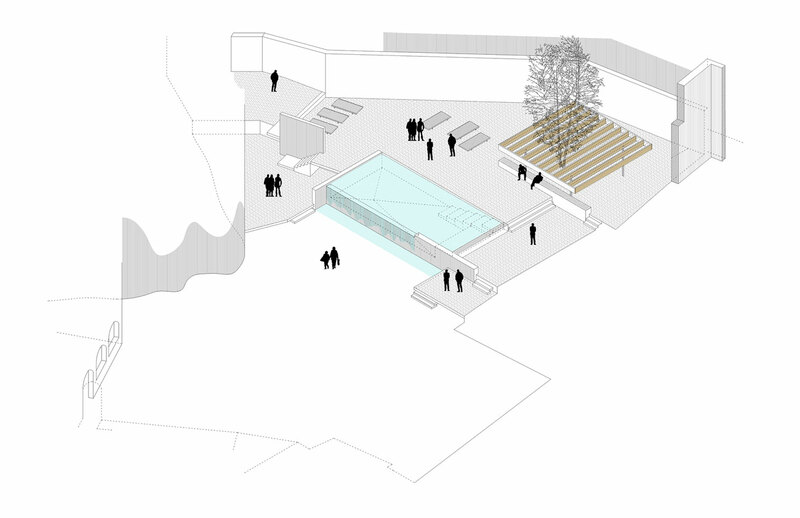 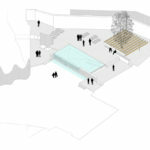 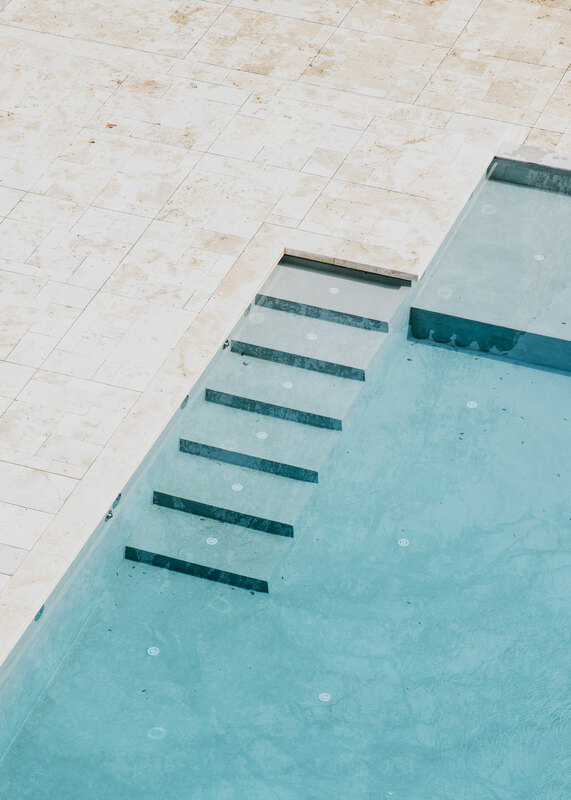 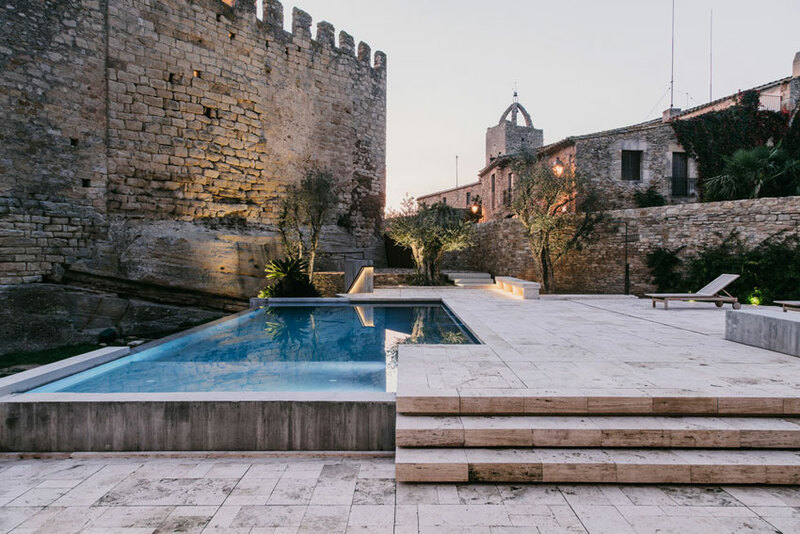 The main actor of the intervention is the pool; a water sheet which is permanently reflecting the amazing surroundings creating a magic sound atmosphere continuously on the move. 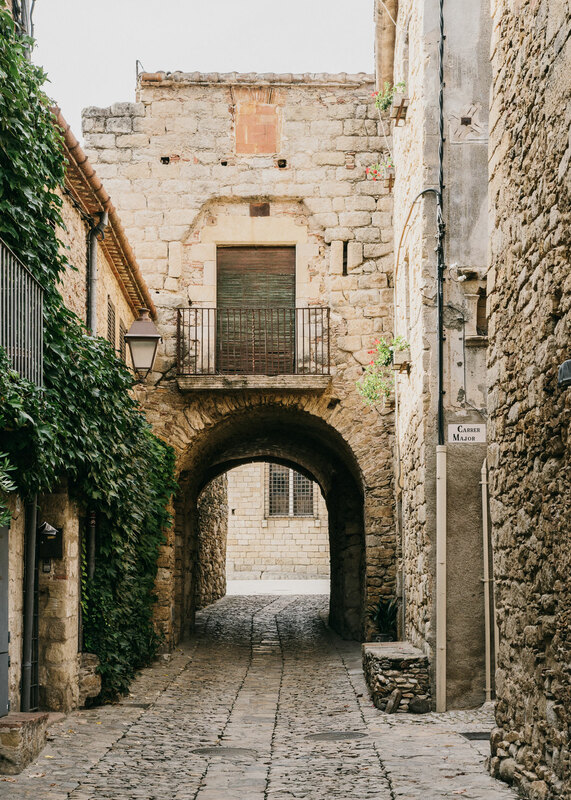 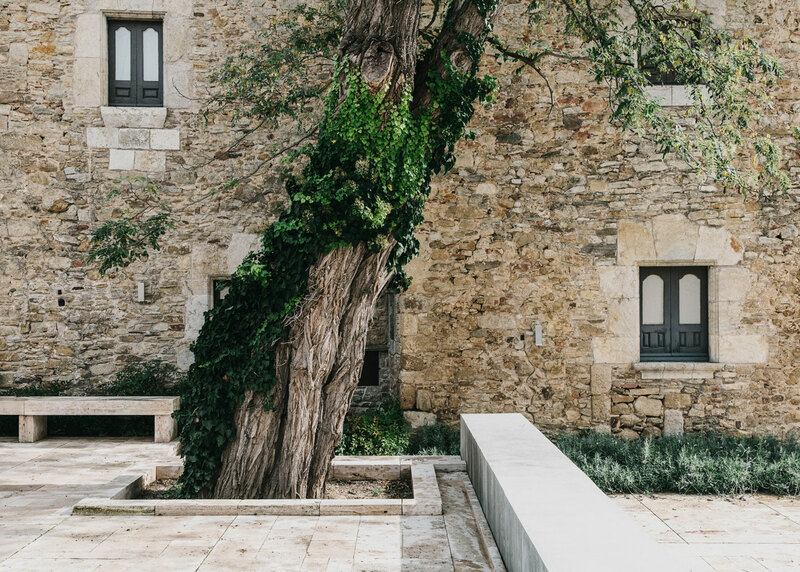 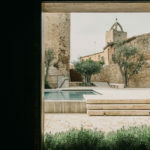 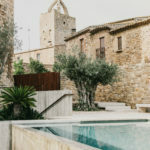 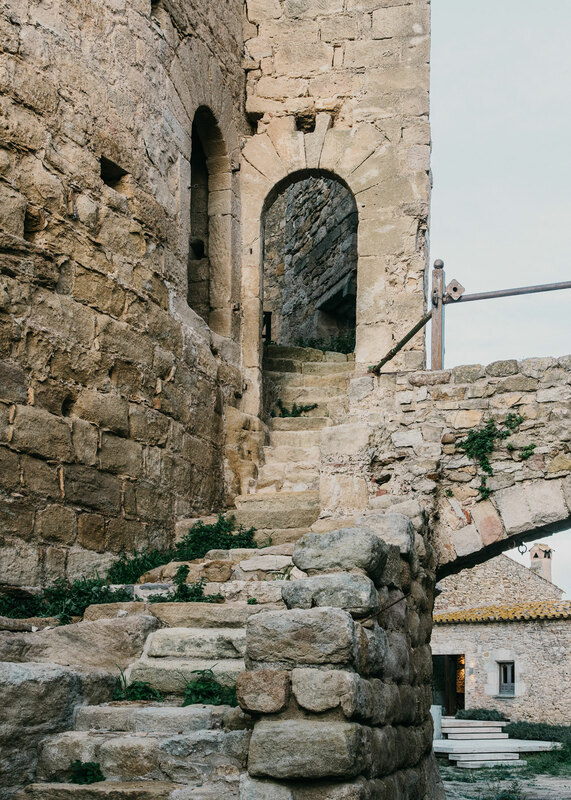 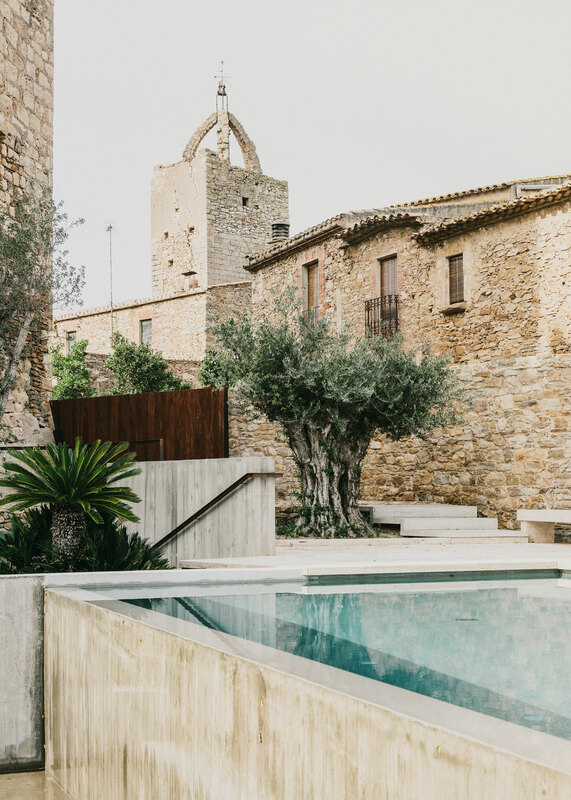 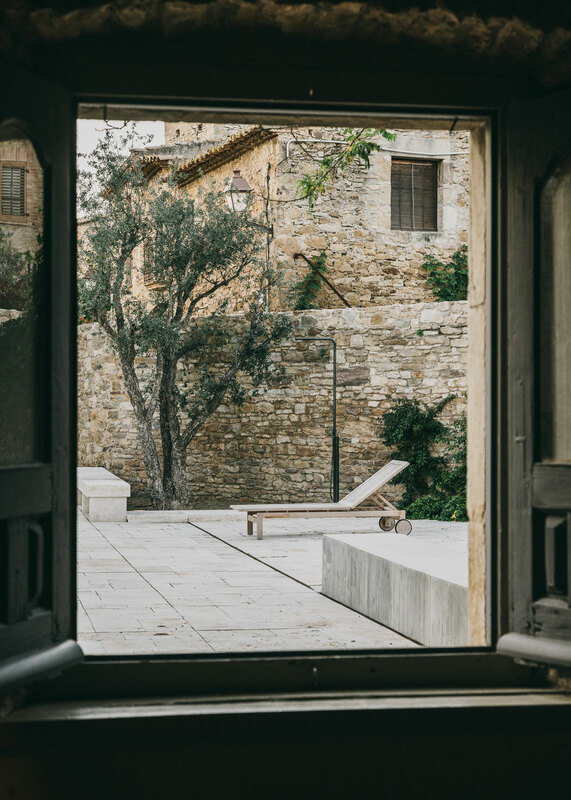 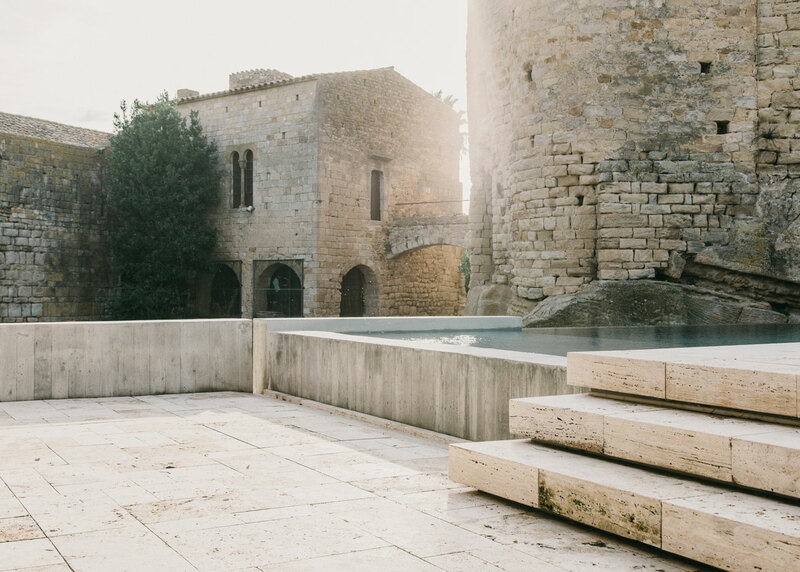 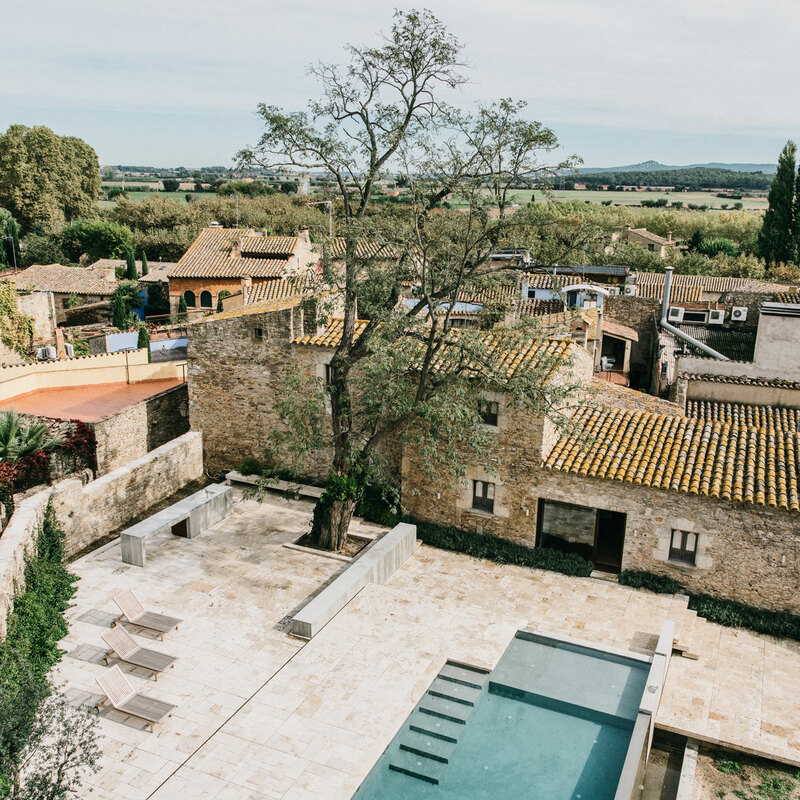 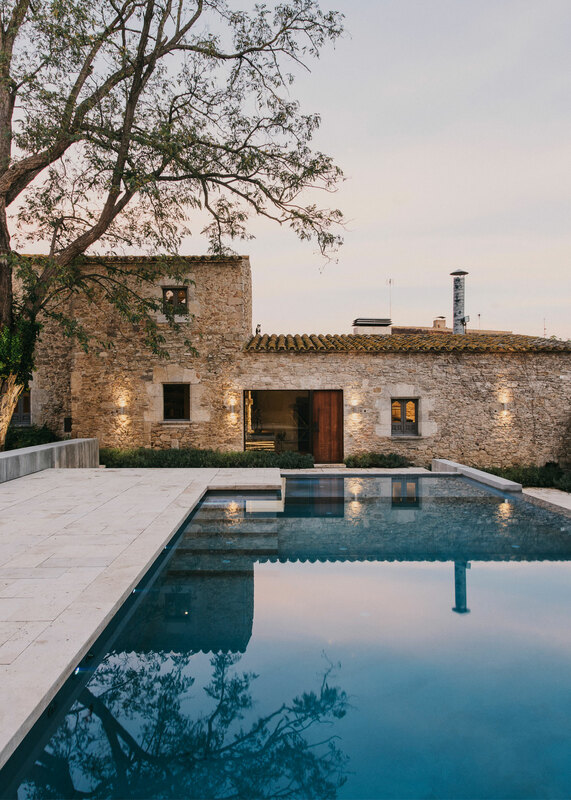 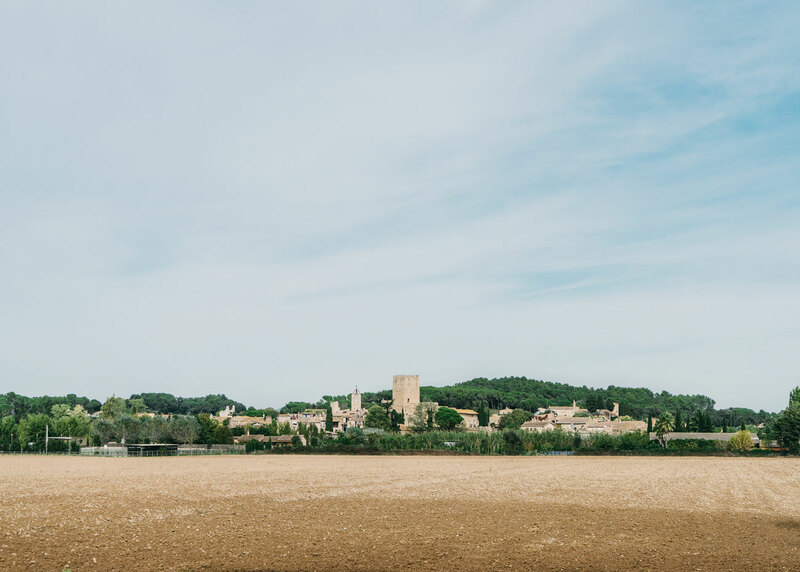 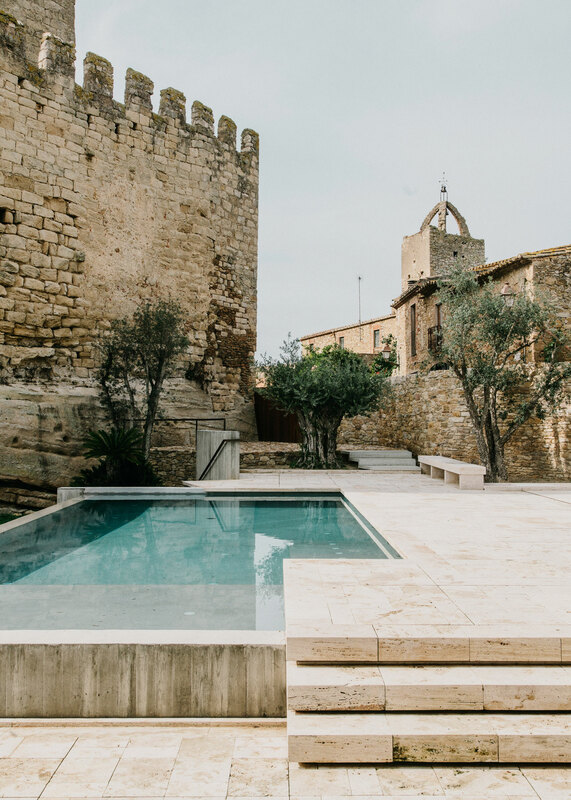 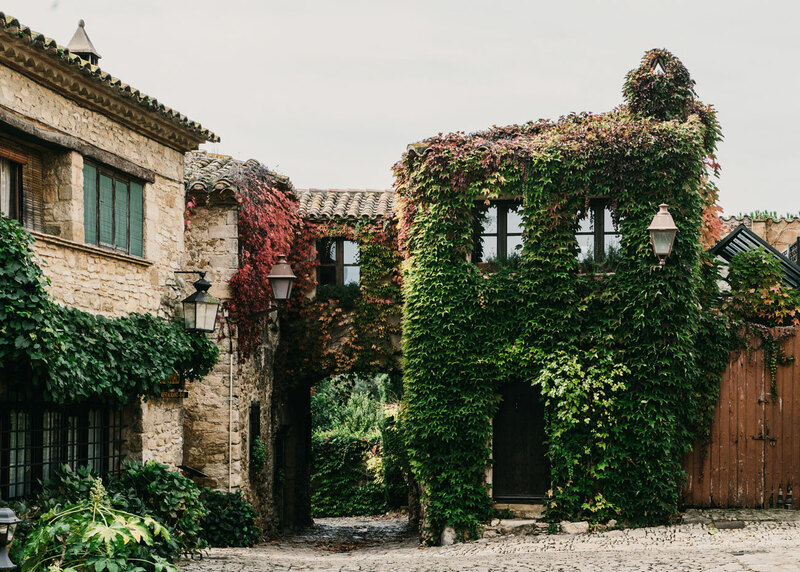 The Peratallada Castle, located in the Baix Empordà (Catalonia, Spain) and considered for it’s historic-artistic value a National heritage building, preserve in its stonewalls a clear vestige of it’s medieval past. 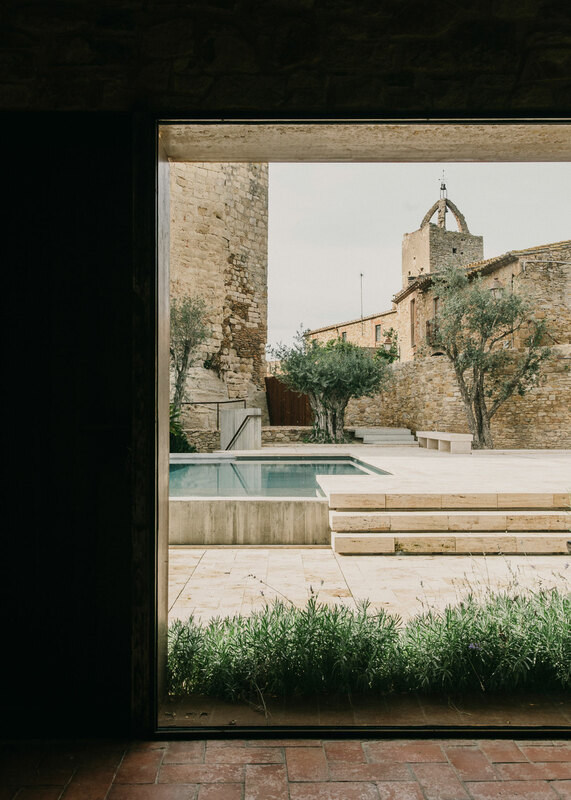 The garden project is dominated for the presence of the surrounding stones, dated from the tenth century (a.C.), with more than 1.000 years of history, we could only step back to focus the main role in the monument. 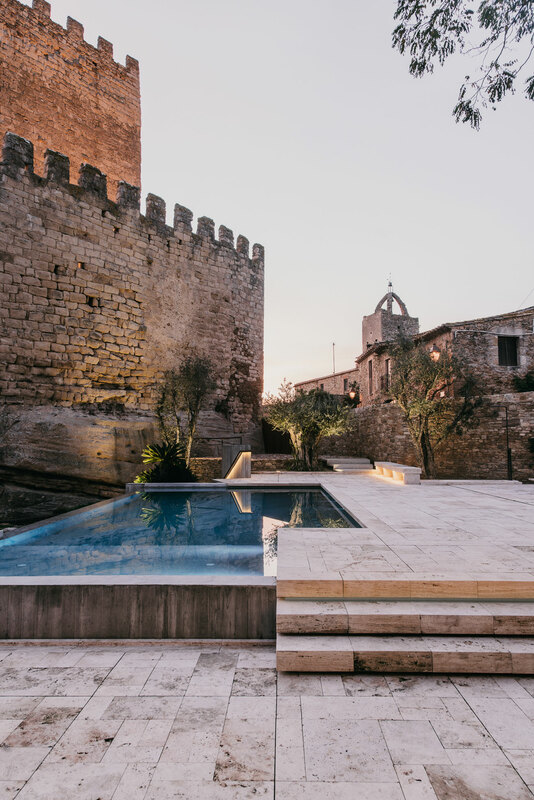 Our commission was to design the garden and landscape of this castle, used as a summer private villa. 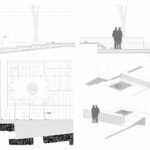 The site had a complex topography with almost 2m drop from the street level to the house door: three different platforms solve this issue. 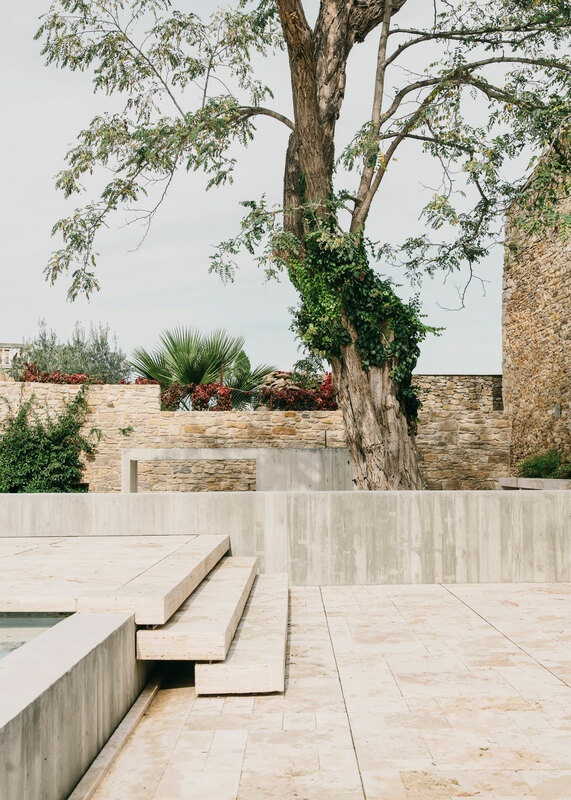 A big Acacia hundred-year-old tree is another main actor, dominates the space with it’s vertical presence and it structures the layout, becoming the centre of the intervention. 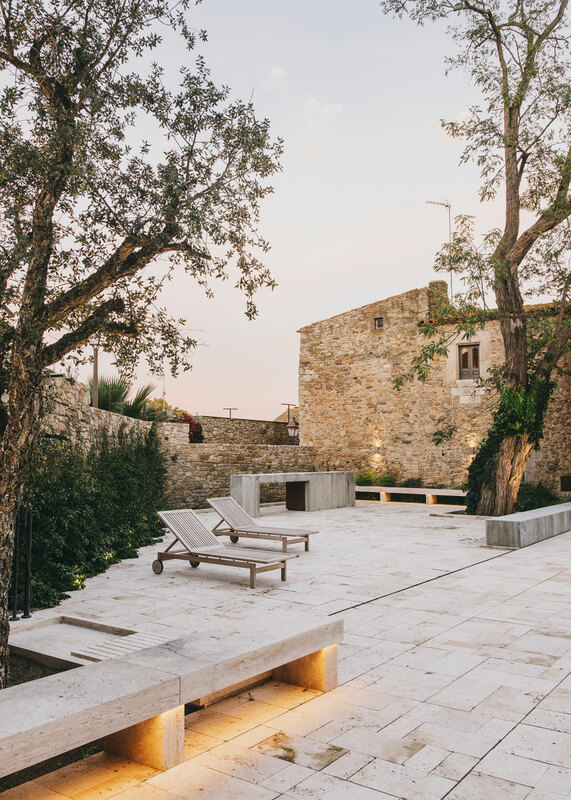 The three horizontal platforms of Turkish white stone combine with the vertical concrete walls with wood texture finish: horizontal plane is conformed by assembling pieces, the vertical plane is build by a continuous formless material. 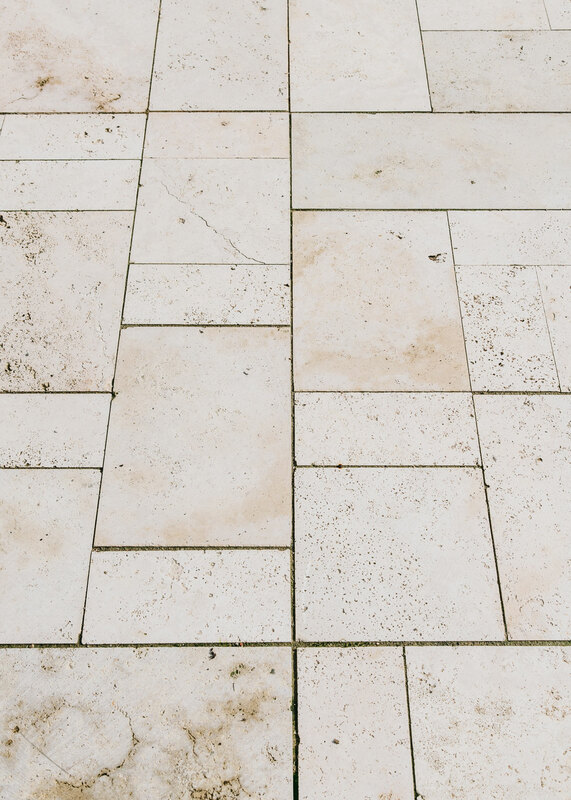 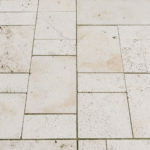 The stone pavement is composed by pieces of 7cm to 15cm width; this is possible by reusing some stock waste of material of one local quarry. 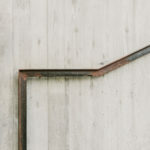 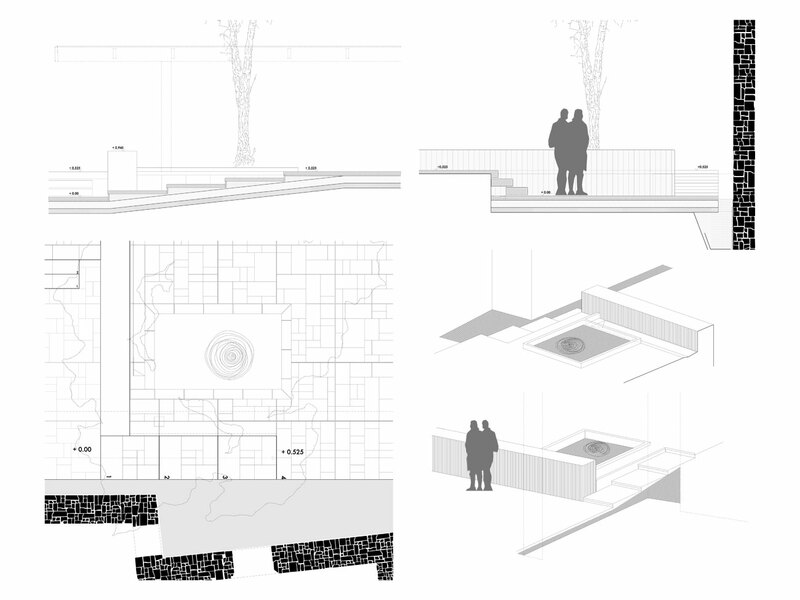 The stock had many different pieces sizes, having to draw each stone one by one of the whole project as a big puzzle. 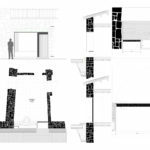 The special pieces as the water drain or the shower, in order to understand the natural movement of the water by the gravity, are sculpt pieces with modern CNC machines, merging tradition with innovation. 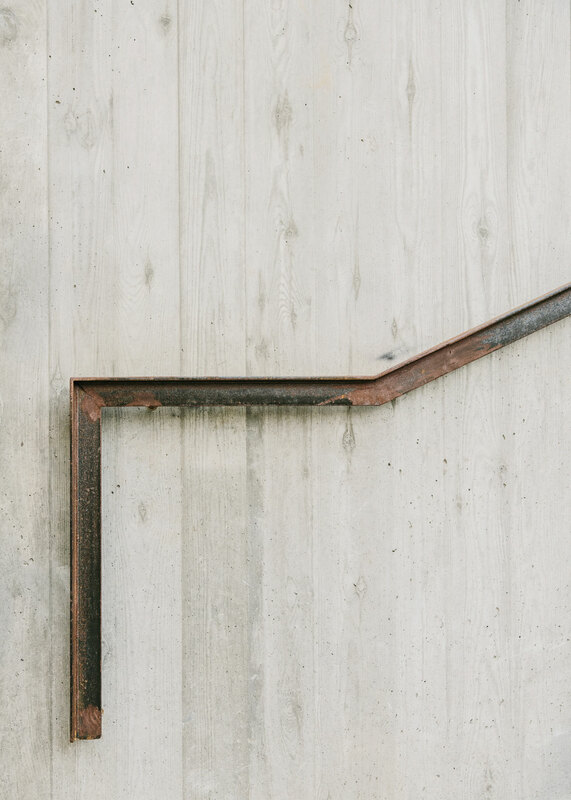 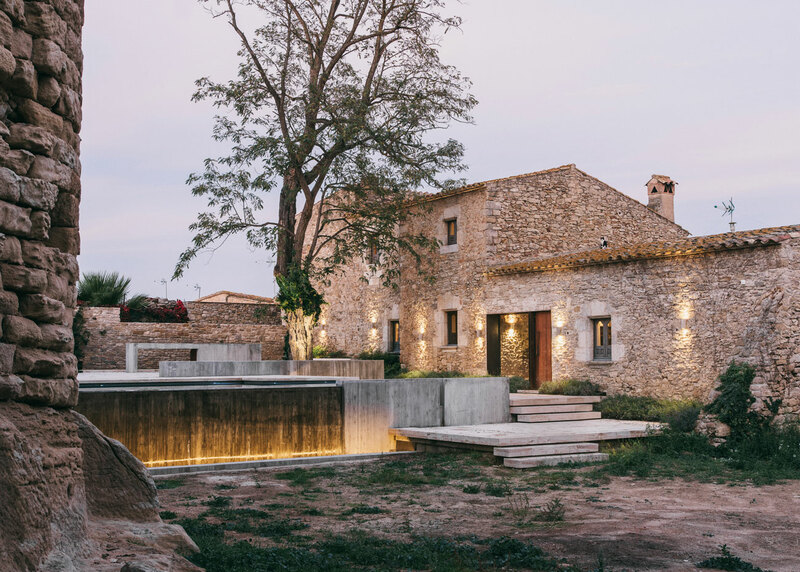 The mechanical, electrical, and plumbing engineering are perfectly integrated in the design, like the lighting and the plugs are built-in the stone bench, or in the stair lighting is built-in the steel rail section. 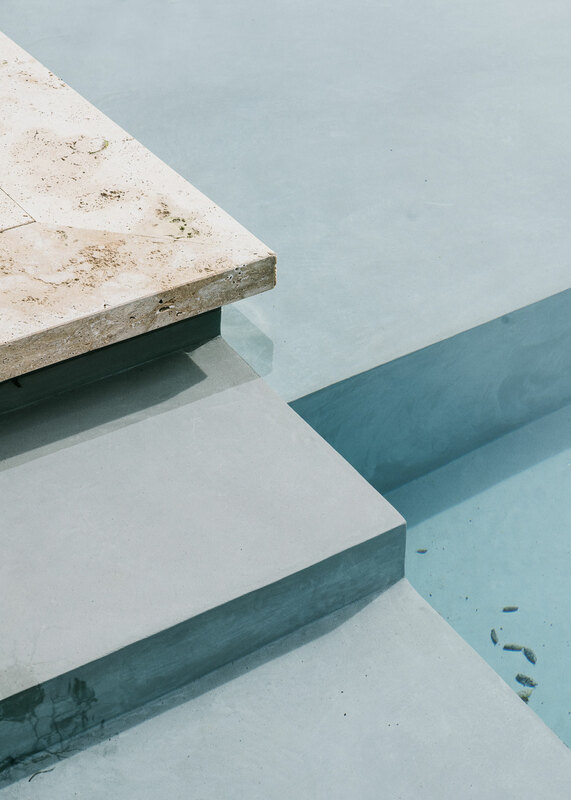 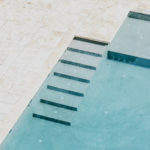 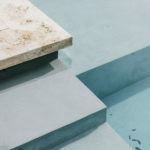 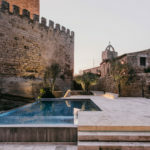 The main actor of the intervention is the pool, a sheet of water permanently moving, the amazing surroundings play a big role in the reflexion of the water and the sound creates a magic atmosphere. 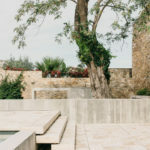 The water overflow, a cascade over the concrete wall. 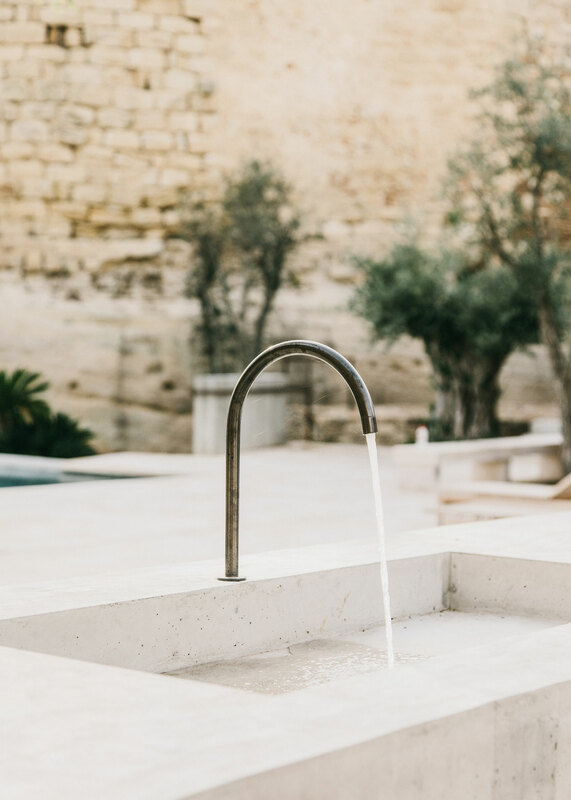 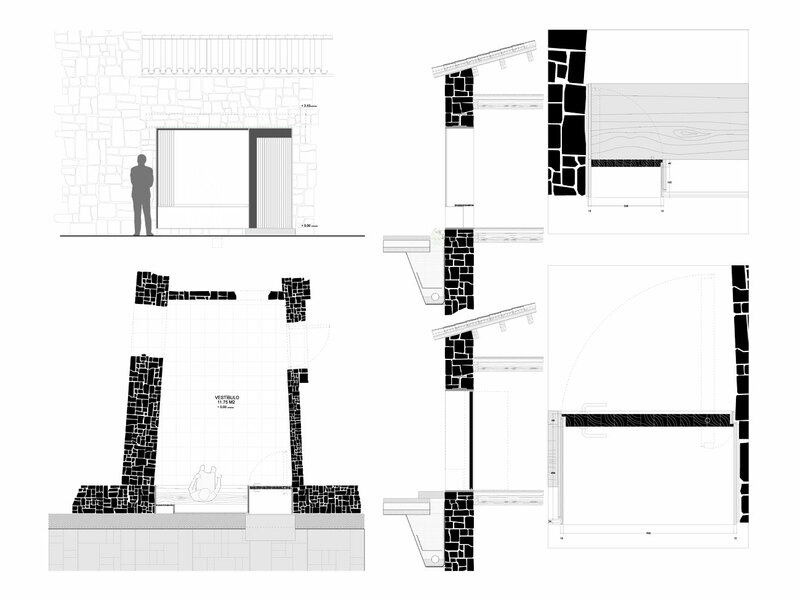 Looking forward to produce a sustainable garden, the entire project is conceived to recollect the rainwater, even from the house roof, and recollect it in a medieval well dig out in the natural stone soil, more than 9meters above the ground level. 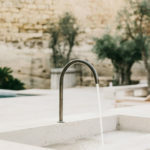 This well is used to water all the plants of the garden. 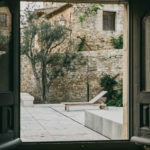 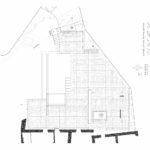 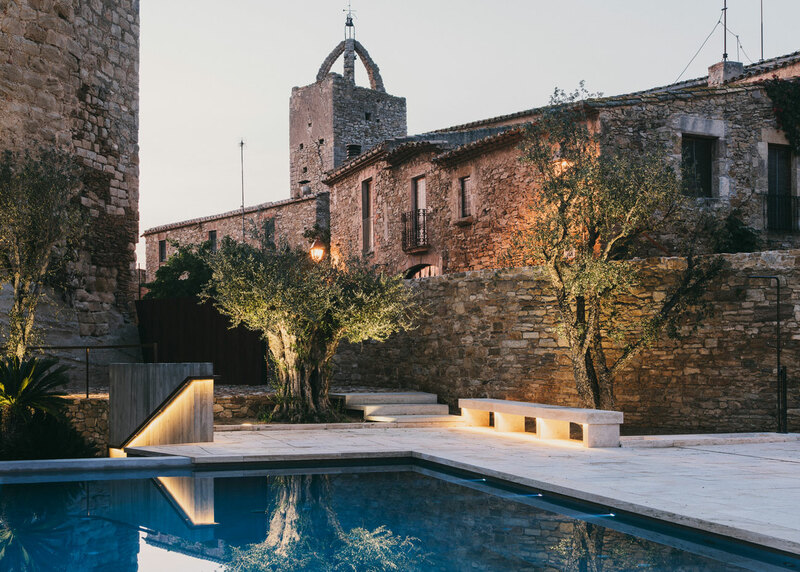 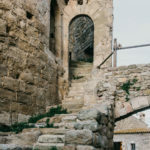 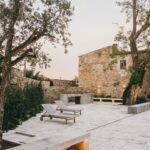 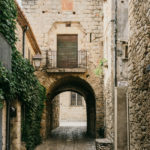 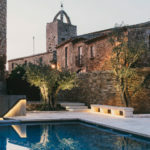 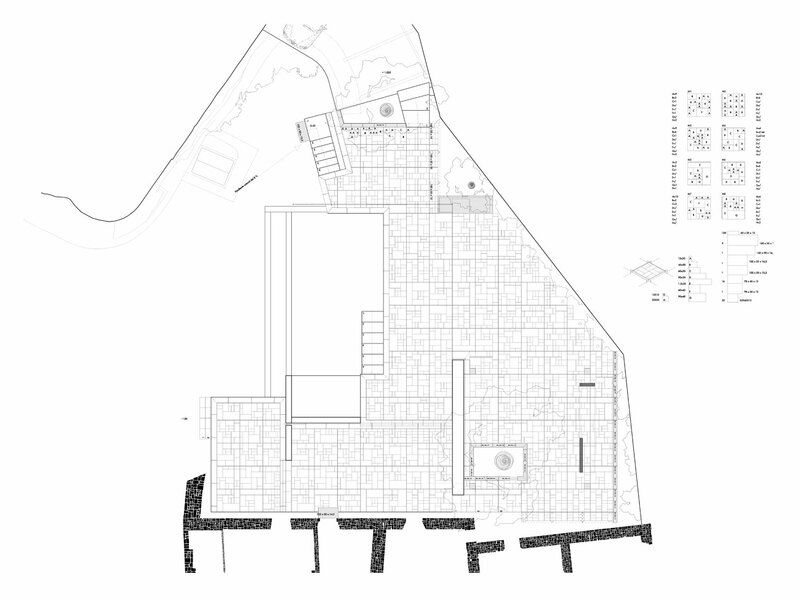 Cite this article: "Peratallada Castle Garden Renovation / Mesura," in ArchEyes, February 17, 2016, http://archeyes.com/peratallada-castle-garden-renovation-mesura/.